With Lift Off!, our after school program starting back up this week, we’re so very grateful for TD’s generous donation of $5000. This money will go a long way in funding our free after school program that runs during the whole school year and gives children the opportunity to create, write and express themselves. If you would like to support our programs, click this link to donate online! Looking for something new to read? Are your shelves drooping under the weight of books you’ve already read? Come by our FREE all-ages and all-tastes book swap event this Saturday and trade recommendations with like-minded readers! Our Book Swap Fun event is this Saturday from 2-5 pm. There will be coffee and snacks available at the Intergalactic Travel Authority in the front half of our space for the thirsty and peckish! 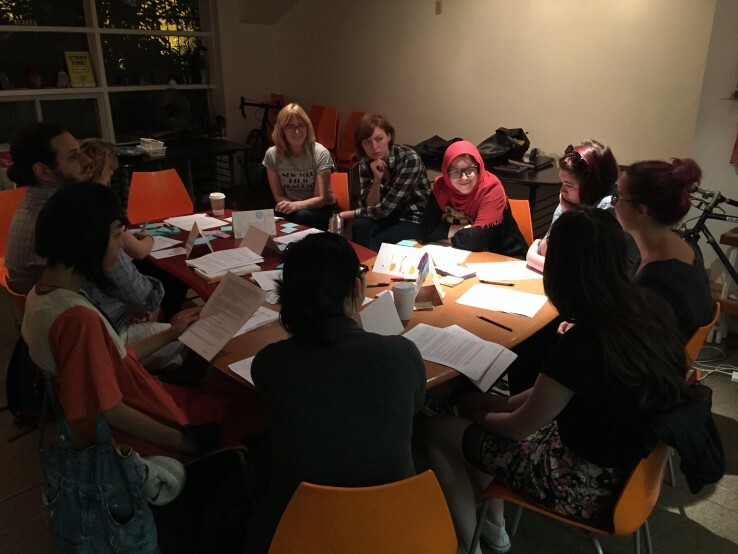 Readers, our next Afterlight Book Club meeting is next week! Check out our Meetup page to RSVP and find out more about the book. We can’t wait to hear what you thought of this month’s selection! Last Chance to Sign up for Lift Off! Registration for Lift Off!, our FREE after school programming for kids aged 6-12 closes this Thursday, September 24. Starting September 29, every Tuesday and Thursday from 3:30-5:30 pm, Lift Off! will combine homework support with creative expression through art, writing and digital tools. Drop by our space, call us at 416-645-1049, or email Noorin at noorin@storyplanet.ca to register. 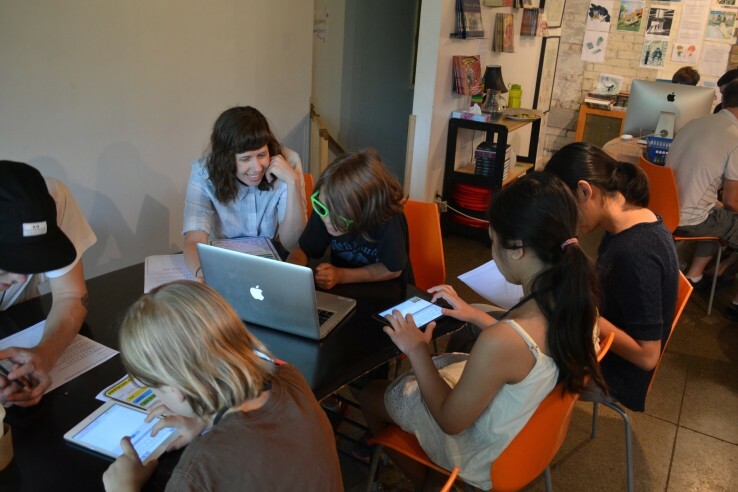 This summer, the Atomatons worked hard on prototypes for their new storymaking app and now they’re looking for feedback from other likeminded storytellers. Kids between the ages of 7 and 11 are invited to help our app-stronaut team test out their new project this Saturday, September 26 from 10-12 pm. This event is pay-what-you-can. Email liz@storyplanet.ca to sign up! Our next book club meeting is on Wednesday, October 7. Have you started reading The Girls by Lori Lansens yet? There’s still time! Buy the book here and RSVP to our Meetup event page here. We can’t wait to hear what you thought about the book! On Sunday, we held our first volunteer orientation for the new fall season. Exciting! As an icebreaker, participants wrote down their favourite story, book, or movie, a leader they look up to, their favourite food, and a place they want to visit onto a sticky note. Then, using those words, they worked in small groups to create a fun 5 minute story! The first round of stories are posted below for your reading pleasure and we should have a few more by the end of the week. If you’d like to join the fun, email Michelle at volunteer@storyplanet.ca to find out how you can get involved! The Step City Mongols lost in a crushing defeat to the Byzantine Brawlers at the NFL football match. To make them feel better, Mother Khan took them to Applebee’s for Taco Friday. After they finished their tacos, Genghis wanted some rich and creamy Yak’s milk ice cream. Disappointed by the lack of yak, Genghis beheads the server, but mercifully spares the rest of the Applebee’s staff. To satisfy this craving, Genghis takes the entire team on a quest to Svaneti for authentic yak’s milk ice cream. After eating the ice cream, they end their day with a joyous snow ball fight. Natasha’s mom- who hasn’t flown since she was 12- decides to face her fears of flying and fish. She flies to Kyoto, and goes to the best sushi restaurant in the city. She is greeted by Princess Mononoke, who tells her that it’s okay to have fears. Natasha’s mom notices and exclaims, “How we are hungry!”- and they go to get Portuguese egg tarts. Frankenstein is walking down the streets of Tokyo looking pretty sad. He’s been having a hard time getting gigs since the band broke up and his solo career started. He sees a sushi joint and decides to cheer himself up with a nice California roll and Sashimi. As he walks through the door he can’t believe his ears! His top song by The Blues Brothers- his old band is blaring! Just like in the movies he sees his old drummer, Pippi Longstocking, is playing the drums in the corner with the Frankenstein monster while holding her pet horse over her head. Just like that- the band was back together. Parents and students, the time you’ve been waiting for is finally here… registration for Lift Off! our new and improved after school program will be starting this Tuesday! Lift Off! is our new and improved free after school program. 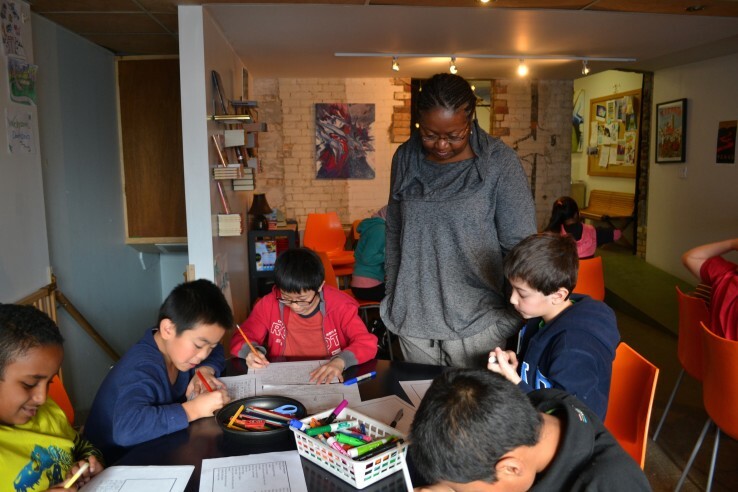 Every Tuesday and Thursday from 3:30-5:30 p.m., students ages 6-12 receive one-on-one help with homework from our wonderful volunteers, and the chance to explore all kinds of visual art and creative writing projects. Lift Off is free to students, but we do require you to register for the program. Email Noorin at noorin@storyplanet.ca or call 416-645-1049 to find out more or sign up! Is your bookshelf getting a little heavy with books you’ve already read? Are you looking for something new to read? Come to Story Planet and trade on October 3 from 2-5 p.m.! This is a free event. Coffee drinks and snacks will be available at the cafe. RSVP to the event on Facebook and invite your friends! Calling all readers! Our Afterlight Book Club meets again on Wednesday, October 7 at 6:30 p.m. to discuss The Girls by Lori Lansens (Canadian Booksellers Association’s Fiction Book of the Year in 2006), which follows the lives of two conjoined sisters in Leaford, Ontario. If you like talking about books, you’ll fit right in with the free Afterlight Book Club. We’re a friendly, fun group and there will be snacks (possibly thematically related to the book)! If you can’t make it, join the group on Meetup and see if there are any other upcoming books you’d like to read and discuss. We’re getting excited! Our FREE programming is set to lift off on Tuesday, September 29. Registration begins on Tuesday, September 15, but here are some other ways you can get involved with Story Planet RIGHT NOW! We’re looking for a volunteer to help us launch our online store! If you know how to make our out-of-this-world products available across the galaxy, email Liz at liz@storyplanet.ca! We’re still looking for volunteers to help with the revamp of The Intergalactic Travel Authority (the front half of our space). We need help with painting the walls, designing a new sign, and a little bit of general maintenance. If you’d like to help out, contact us at volunteer@storyplanet.ca and you might even have your likeness immortalized in the form of a constellation of stars! Do you know a child who is curious, chatty and imaginative? Is he or she interested in science, design, and how things work? We’re developing a TV series called “What If?” and looking for some kids to come up with some out-of-the-box questions that we might ask them on-camera. If you think you know a young person who’d like to participate, email Liz at liz@storyplanet.ca! We’re constantly on the lookout for supplies to use during our workshops. If you have furniture, electronic devices or other supplies that are still in good condition, we’d be happy to take them off your hands. Check out this link to find out what we need most, or email us at info@storyplanet.ca to let us know what you can spare and set up a drop off time that works for you. But, of course, if you don’t have any chairs to spare, you can always donate funds to our programming by clicking here. Thanks for all you do to support Story Planet. We’d be positively lost in space without you!